﻿ LZZG does a research for you about what is tailings dry dewatering system? 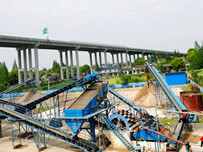 Location: Home » NEWS » LZZG does a research for you about what is tailings dry dewatering system? 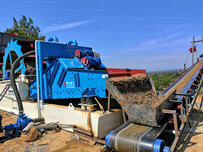 LZZG does a research for you about what is tailings dry dewatering system? The tailings dry dewatering system is a novel high-efficiency and energy-saving tailings dry dewatering treatment technology, and it is suitable for dealing with tailings with various coals, minging and sandstone. 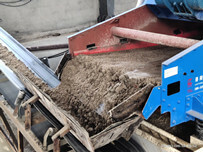 Besides, it can be used to realize the sedimentation and mud-water seperation, tailings after dry-disposal can be piled safely and shorten reclaiming time, after treatment, tailings can be used timely. What’s more, it avoids the danger of tailings dam collpse in the traditional methods and lays a foundation for the comprehensive utilization of tailings resources. Therefore, the water in the talilings can be reused after being settled and filtered. It was favored by many customers for its advanced technology, low investment income, and the production of higjh-efficiency and low risking. 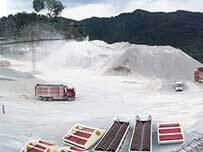 It has been widely used in the process of tailings in Hebei Chengde, Qinhuangdao, Baoding, Panzhihua in Sichuan, Shangluo in Shaanxi, Jianping in Liaoning, and Maanshan in Anhui. 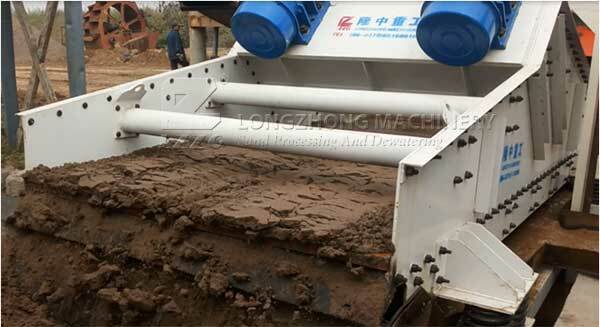 So, what is tailings dry dewatering system,LZZG will do a research for you. There is a real case about our regular customer,it is an iron plant in Yunnan tengchong, it carried out a new rectification restructuring with our company in this early year. We conducted site visit,data research and statistics.The designed treatment is a dry tailing iron dewatering process with a daily production rate of 3,000 tons/day. And the dewatering effect is as high as 85%, the sedimentation recovery of wastewater is 40%, and the capacity of the tailings reservoir is increased by more than 30%. The slag content of the tailings is reduced to 15%. At the beginning of the design period, they still disagreed with the plan. At that time, they had calculated a rough account. Wastewater recycling: The tailings dry drainage system can save water resources after processing: 3,000 tons/day, calculated according to the water price of 0.8 yuan/ton, 3000*0.8 = 2400 yuan / day, 300 days a year, 2400 * 300 = 720,000 yuan, saving 720,000 yuan in water resources a year.The recovery of waste sand: 250,000 tons of coarse sand will be discharged every day, with a profit of 10 yuan per ton, work 300 days in one year, 2550*10*300 = 7.65 million yuan, and 7.65 million yuan of coarse sand will be returned every year. It was a very considerate economic benefit , and the customer was very interested with it and decided to make a deal with our company without hesitation after he heard about our calculation.